I didn’t want the wreath to be symmetrical with an even number of white and purple flowers on each side. Instead, I wanted it to look more like it was a few different plants growing in nature. 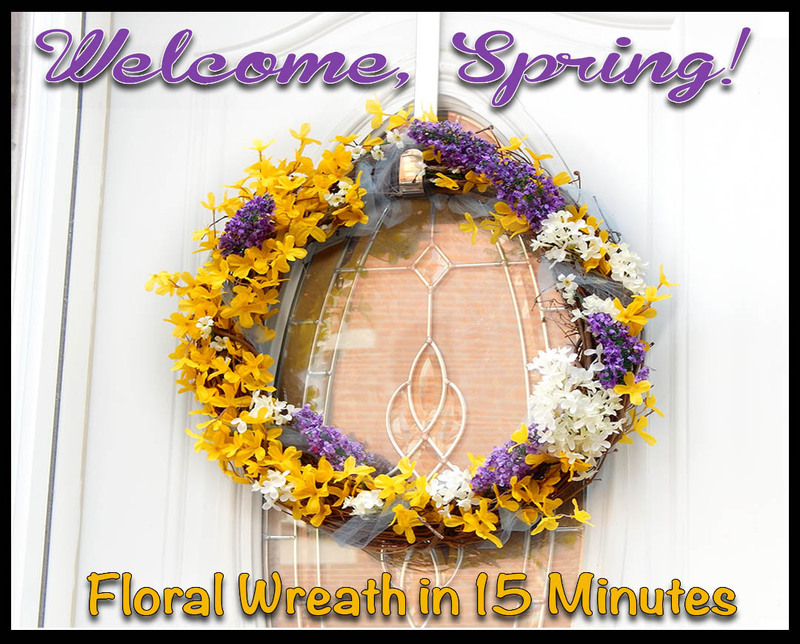 I’ve been looking for spring wreath ideas- my door is currently bare! Thanks for linking up today! Gorgeous floral wreath! I love the use of yellow and purple!